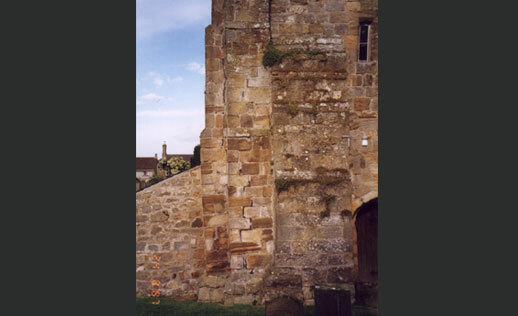 The broad and low 13th Century tower with massive clasping buttresses showed, upon investigation, many signs of weakness and deformation. 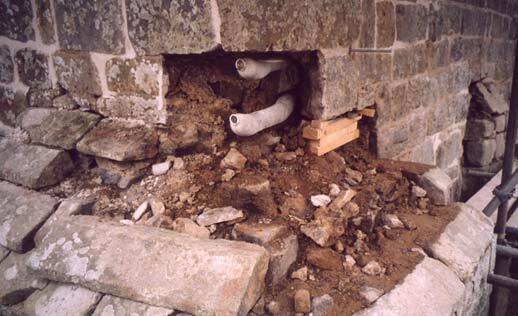 Opening up the wall core at mid-height revealed loose rubble with up to 30% cavity and little bonding either to internal or external faces. Foundations were extremely shallow with boulder footings only 200mm below the drainage area round the South and West walls. 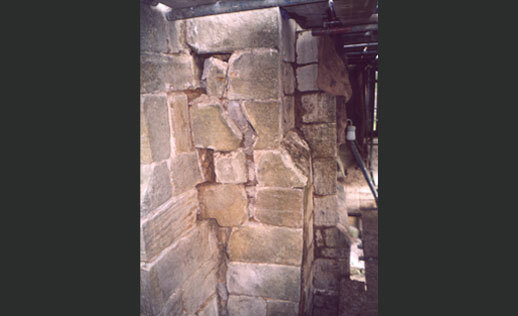 Against the North side a 19th Century boiler room had been sunk 1500mm below floor level and the Tower wall had clearly deformed with the disturbance. Remedial work consisted of the drilling and insertion of stainless steel Cintec Anchor rods at 600mm centres through the wall from the inside to form a tie between the inside and outside facings across the rubble core. 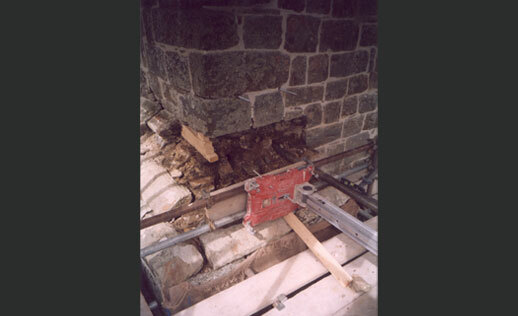 The tops of the buttresses were dismantled to allow the discreet insertion of 6.5 metre long Cintec girdle ties within the thickness of each wall half way up the Tower. Behind the parapet a new concrete ring beam was introduced and the parapet gutters reinstated. No disturbance was attempted at the foundations since the Tower is now more likely to act as a single load spread evenly over quite a large footprint. 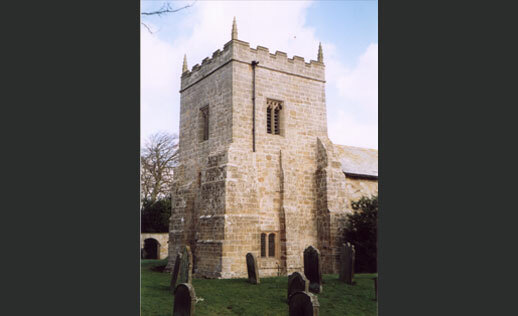 Upon completion of the structural work the whole exterior was repointed with hydraulic lime mortar stemmed deep into joints and cavities giving the Tower a genuinely sturdy appearance. The project won a Commendation for the RIBA Conservation Award.